OaSN provides a myriad of programs/services/events to individuals with autism depending on the donations and grants we receive. 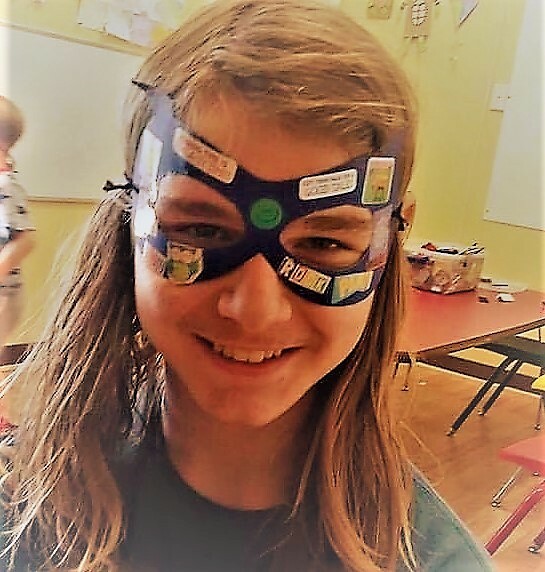 Active Minds Summer Program (STEAM based): OaSN has offered a summer program for the past 5 years. This program is in session for 6 weeks and is a STEAM (Science, Technology, Engineering, Art, Mathematics) based program including technology robotics, social skills classes, & organic gardening. This program operates from 8:30am-3pm. Aftercare (3pm-5pm) is offered at a low cost if 5 parents or more are interested. At this time, we do our best to accommodate all participants, however, ABA (applied behavioral analysis-life, social & behavioral skills) support may be required depending on the needs of each participant (paid for by state sponsored or commercial insurance). We offer a United Way funded program to assist families with obtaining ABA (see ABE Program). Autism Behavior Education Program (ABE). A United Way of Marion County funded program that assists autism families with a basic behavioral plan & case management to provide assistance getting ABA (applied behavioral analysis-life social and behavioral management) approved by the child’s (up to age 19) insurance provider. Must be a Marion County resident to participate in this program. Best Outcomes Art Classes: Periodic art classes offered provide a myriad of therapeutic benefits. Best Outcomes Educational Seminars Education Seminars are offered on a variety of topics that pertain to individuals with autism, their families and caregivers. Some are taught by medical professionals while others are taught by educators and parents. Seminars are generally offered weeknights and Saturdays. Best Outcomes Resource Guides (Children & Adults): Our resources available in our guide are all parent, caregiver or individual with autism recommended. Best Outcomes Referrals: Our Best Outcomes Resource Guides are used to link individuals with autism, their families and caregivers to medical professionals, support meetings, autism services and more. Inclusion K-12 School: Our subsidiary inclusion school is supported by choice scholarships in coordination with parent participation with tuition & associated costs. Half of our student population is on the spectrum for autism (medium to high functioning). The remainder of our student population are gifted, have learning disabilities, or are typically developing. Our student population is similar to the population that public schools serve. Most of our students are on a college preparatory track. As of 12/18, we have 65 students enrolled. Our inclusion school is on a wait list since the maximum number of students we can accommodate in our current multi-use facility is 65. May the 4th Be with You Event-A casino themed event that raises funds for OaSN autism programs. OaSN Gives Back Our staff coordinates collection drives to give back during difficult times (i.e.. hurricanes, cold weather, etc.). OaSN collects food, coats, and other items when disaster strikes. OaSN HEALS (Healing Educational Autism Library & Seminars) Information and seminars about co morbid conditions and vitamin deficiencies that affect individuals with autism, and dietary changes that can be made that have proven helpful for individuals with autism of all ages. OaSN Adult Outings Program (ages 18 & up) Adult outings are offered most months. These outings offer opportunities for socialization and friendship for both participants and their caregivers. OaSN Create & Take Events Create and Take art events are offered throughout the year by Artist Hub of Ocala to benefit OaSN’s autism programs. OaSN Pamper Day (annual event) OaSN Pamper Day is an annual event that raises funds for OaSN programs. Individuals or businesses sponsor a parent of a child(ren) with autism to get pampered or pay to get pampered. Local businesses provide food, massages, art create & take, etc. at this event. OaSN Social Saturdays (adults 18 & up) Social Saturdays are offered on the 3rd Saturday morning of most months. Movies, board games, friendship and fun are offered for participants and their caregivers. OaSN Super Hero Fun Walk (annual event) A fun walk that raises funds for OaSN autism services/programs/events. Community organizations and sponsors offer booths with activities for participants, plus entertainment & food for sale at this beloved event offered the past 5 years. 2019 will be our 6th Annual! OaSN Student Services OaSN offers seminars and general assistance needed to prepare for IEP/504 meetings, and addresses questions regarding academics. Additionally, a mentorship program is provided for students with an autism diagnosis that are enrolled in our subsidiary K-12 inclusion college preparatory school when referred by school staff. OaSN Youth/Teen Outings (up to age 19) Outings are offered most months. These outings offer opportunities for socialization and friendship for both participants, siblings, parents and caregivers. Sensory Sensitive Holiday Celebration (annual) Our sensory sensitive holiday celebration offers visits from costumed characters, police and fire trucks, Sensory sensitive Santa, The Bark Bus, an art project and donated food to be enjoyed with fellow participants. This event is done by appointment to remain sensory sensitive for the individuals, families and caregivers we serve. 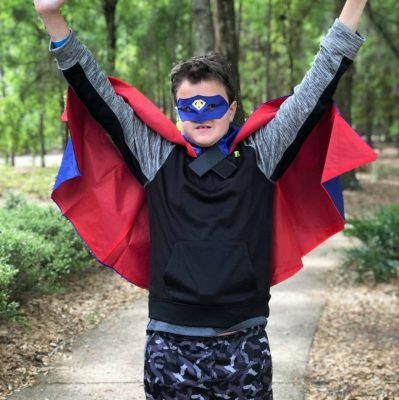 Survival Swim Lessons-contracted as available with Ocala Recreation & Parks Individuals with autism are drawn to bodies of water, so it is important they have minimal skills necessary to survive a fall into a body of water when eloping (running or wandering). Offered annually except in 2018. We look forward to offering this program in 2019. Be sure to also follow us on Facebook to always be aware of new information or events..
You must have an intake form on file (08/01/2018 or later) & not violate our policies & procedures to participate in OaSN programs, services or events (spots may be limited based on funding). You can submit your intake form online here.